Mr. Yunus’s ameliorative entrepreneurship however is very different from the transformative entrepreneurship that Mr. Phelps argues has been central to modern capitalism. . . .
Economic development does wonders for peace, but what does microfinanced entrepreneurship really do for economic development? Can turning more beggars into basket weavers make Bangladesh less of a, well, basket case? A few small port cities or petro-states aside, there is no historical precedent for sustained improvements in living standards without broad-based modernization and widespread improvements in productivity brought about by the dynamic entrepreneurship that Mr. Phelps celebrates. In principle, microfinance does not preclude modern entrepreneurship. But in practice, we wonder if the romantic charm of the former might distract governments in impoverished countries from undertaking reforms needed to foster the latter. It’s a nice piece — and how often do you see both F. A. Hayek and Frank Knight lauded in a newspaper editorial? In the WSJ/Harris Interactive survey of corporate recruiters, the top complaint is inferior communication skills. Here is a 2005 interview with Seabright in Reason Magazine. The open-source model works well when producers want to encourage collaboration. A potential downside is too much collaboration — sometimes project leaders just want to be left alone. Who knows this better than parents of small children? With all due respect to Ward Cunningham, I’d like to take issue, for a moment, with the claim that he is the originator of the wiki. Because anyone who’s had a child can assure you that collective public authorship, collaborative editing, and anonymous generative correction — those wiki hallmarks — have been around since Mrs. Cain first brought Baby Cain over to Uncle Abel’s house dressed only in a too-thin fig-leaf onesie. That’s Slate’s Dahlia Lithwick reminding us that “babies invented community-based collaborative authorship.” When your kid is sick, all your friends and relatives try to re-write the owner’s manual, whether you want them to or not. Which courses & workshops are useful. How to fulfill requirements in a straightforward and quick manner. Certain personalities to approach or avoid. How to pass the graduate exams, which topics are on the exams and how to answer them. How to get financial and academic support in the program and from other units on campus. How to approach professors, as students and possible collaborators. Ludwig Lachmann, a colleague of F. A. Hayek at the LSE in the 1930s and later professor of economics at the University of the Witwatersrand in Johannesburg, made major contributions to the Austrian theory of capital. 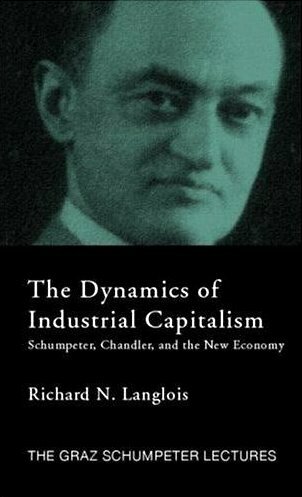 His most important book, Capital and Its Structure (1956), is now available on the web as a PDF file (courtesy of the Mises Institute, which continues to add to its impressive online book collection). I do not mean to argue that a knowledge of economic theory will enable a man to conduct his private business with success. 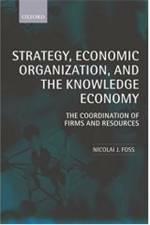 Doubtless many of the particular subjects of study which come under the head of economics are useful in the conduct of business, but I doubt if economic theory itself is. It does not indeed in any way disable a man from successful conduct of business; I have never met a decent economist who was in a position of pecuniary embarrassment, and many good economists have died wealthy. But economic theory does not tell a man the exact moment to leave off the production of one thing and begin that of another; it does not tell him the precise moment when prices have reached the bottom or the top. This is from Cannan’s Presidental Address to the Royal Economic Society, reprinted in the January 2007 issue of EconJournalWatch. I have spent most of my career teaching economics to business students, and I am always careful to emphasize that knowledge of economic theory, while valuable, is neither necessary nor sufficient for commercial success.